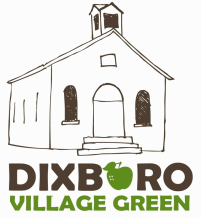 Dixboro Village Green Dog Policy - Dixboro Village Green, Inc.
We understand that people feel strongly about dogs. Some people love them and think of them as a part of their family. They enjoy having their dogs with them and bringing them along to the Farmers' Market as a valued part of their Friday afternoon/evening routine. Other people are extremely afraid of dogs and do not want to be anywhere near them. Some are very uncomfortable with the sanitation factor, and having dogs in close proximity to the food that they are potentially purchasing is very worrisome. Some are very young and don’t always understand the safe way to approach a dog, while some are older and unsteady on their feet and an energetic dog can be a little scary. The most important point in all of this is: We love all of our customers and want the Market to be a welcoming and pleasant place for everyone. We have struggled with how to address this issue and have come up with what we hope is an approach that will have something for everyone. We ask that you refrain from having your dog in the Market area between the hours of 3:00 pm - 7:30 pm market days. We appreciate your cooperation and support in keeping our Market a place where everyone has the opportunity to shop in an environment that is comfortable for them. Thank you all for your cooperation and help in making the Dixboro Village Green a great community place for everyone!